How to Tell If a Digital Scale Is Broken? 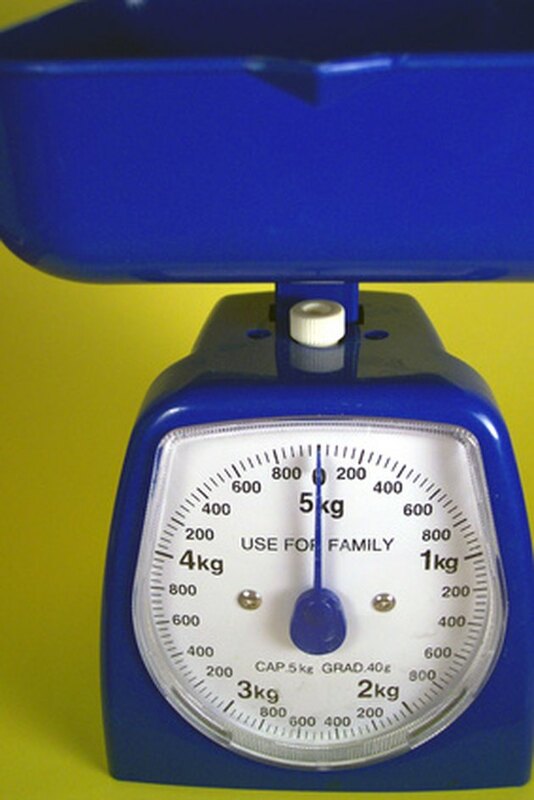 Digital scales are excellent tools, whether you are checking your weight or weighing packages before you mail them. But in order to be useful, digital scales need to be accurate. It is important for owners of digital scales to carefully check their equipment on a regular basis to make sure they are still working properly. Otherwise, you might not put enough postage on your letter, or you might decide you are further along on your diet than you really are. Watch the display on the digital scale as you step on and off. You should see the scale register a weight and then return to the "000" display immediately when you step off. Find an item with a known weight. For example, if you have a 10-pound dumbbell, put it on the bathroom scale. If the scale registers anything other than 10 pounds, it needs to be calibrated or repaired. Many digital bathroom scales have an adjustment mechanism near the front. If you cannot find the calibration mechanism, check the user manual that came with the scale. For a postage scale it is important to calibrate the scale down to fractions of an ounce. For that reason most digital postage scales come with at least one or two test weights to make calibration and adjustment easier. Use one of these test weights to make sure the scale is accurate. If you lose a test weight, replacements can be ordered directly from the scale manufacturer. Change the battery in the digital scale. When the battery on a digital scale starts to fail, the scale can continue to work, but it might not register the proper weight. Before sending the scale in for repairs or throwing it away, change the battery.